Butterflies are special creatures and signify spiritual rebirth, personal growth, or a guiding soul. 813 means I love you. 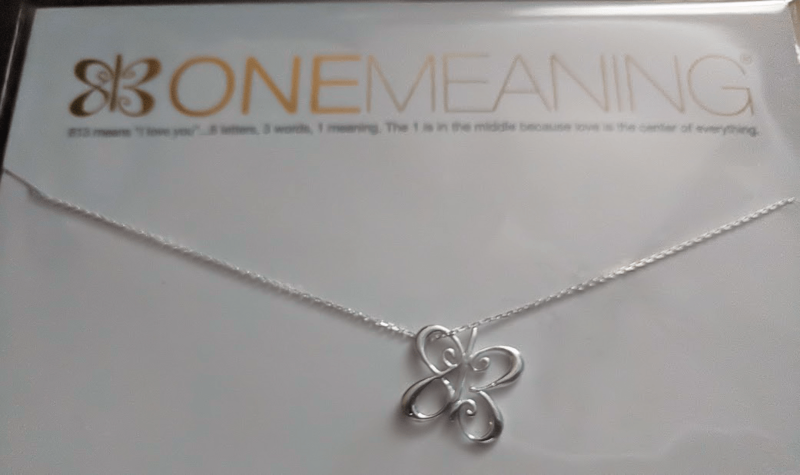 A company called One Meaning combined the two and created a beautiful butterfly necklace and called it I LOVE YOU! I received a standard size pendant in silver, in exchange for inclusion to my Mother’s day guide. 813 means “I love you”…8 letters, 3 words, 1 meaning. The 1 is in the middle because love is the center of everything.® The jewelers formed the numbers into a butterfly that signify you’re becoming the change you’d like to see in the world. Love can be transforming! Mini versions of the butterfly necklace are available so your daughter and you can wear the same meaningful necklace. Choose your butterfly in Standard (size of a nickel) or Mini (size of a dime) on an 18” chain in Sterling Silver, Yellow or White Gold. Made in NYC. Retails for $68.